With the anxiety of the first few weeks of school over with (OK, mostly anxiety on my part, my daughter did just fine! ), a new stress has taken over. It’s called: The School Lunch Box. I can really get myself worked up into panic mode just thinking about what to pack for my daughter’s lunch for the week! It has to be healthy and it has to be something she will eat and it has to be enough to fill her up! 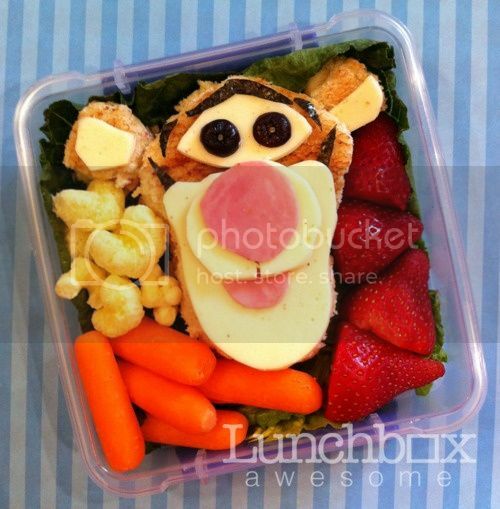 Packing the lunchbox can be just as stressful as making the food! My friend recommended me to visit https://www.tinyme.co.uk/name-labels and get some name labels printed for my kids lunchbox. I guess this will lessen the stress a bit!! The lunch also has to be the right temperature (we wouldn’t want that mayo to get hot, would we?). Modern Boca Mom reached out to Ilyse Schapiro, MS, RD, CDN, a Registered Dietitian and Certified Dietitian/Nutritionist (and mom!) for some schooling on lunches. Whole grains –Always aim for whole grain or whole wheat breads, brown rice and whole wheat pasta, couscous or quinoa. Whole grains have more fiber and less sugar than their white counterparts, and will help keep your kids fuller for longer periods of time. Fresh fruit and vegetables – This goes without saying. Fruits and veggies have a multitude of health benefits, including vitamins, minerals and fiber! Plus for most, they taste great. 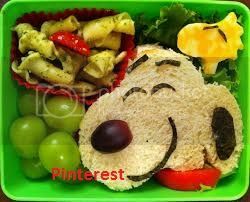 Having fruits and veggies in your child’s lunch also contributes to variety and color which keeps lunches appealing. Lean protein – Helps to keep kids satisfied. Aim for lean sources such as chicken, turkey, tuna and wild salmon. If your child doesn’t eat meat, they can get it from low-fat cheese, yogurt, cottage cheese, tofu and beans – all which are packed with calcium too! Water – Nothing beats water to help keep your child hydrated at lunch and throughout the day. Also, filling up on water will help to prevent overeating later on and a necessity for everyone. If water doesn’t cut it, aim for low-fat milk over juice. And one thing that we both agree on? You need to pack foods that your child actually LIKES. “The last thing you want is for your hard work in packing the lunch to get thrown away. Kids end up trading for things they do like or come home ravenous,” said Ilyse. Luckily, just browsing through Target and Publix gave me some great ideas. I also found plenty of websites and Pinterest Pins to help me out. Some of my favorite ideas are snacks with hidden veggies or vitamins inside them. For vitamins, Ilyse also recommends alternaVites KIDS. “alternaVites KIDS are so versatile that they can fit into your child’s lunch a different way each day. At school, they can mix alternaVites KIDS in with their yogurt, stir it into a healthy fruit smoothie, even add it to their pudding or apple sauce. As a dietitian and a mother, I also like that you don’t have to worry about them adding too much since it comes in a single serve packet so it’s easy to trust your children with it if they buy lunch or want to take it as is by pouring it on their tongue,” said Ilyse. Moving onto the beverage, I found Vita Coco Kids juice boxes at Publix. These juice boxes claim to have half the sugar and half the calories as “leading kids’ juices”. Capri Sun has also gotten in the game with Capri Sun Super V. This juice contains vitamins A, C and E and has one combined serving of fruits and vegetables. If they can’t see it, they won’t know what is or isn’t in there! Other great sides are apple slices, grapes, graham crackers, hummus and pita chips. “Children need an ample supply of vitamins and minerals to help support their growth and development. While it’s always important to get as many nutrients as you can through diet, sometimes it is not always possible. Especially during the back to school period, things can get hectic: between the new schedule of homework, after school activities, play dates and even birthday parties & sports, it’s often hard to stick to any routine – let alone one where our children eat the way we wish they would or could,” reminded Ilyse. The main course is where I start to have issues. The ‘tried and true’ sandwich is great, but I want my daughter to have some variety. 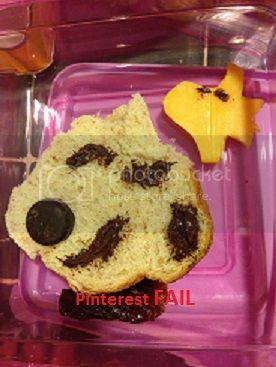 So, one quick search for school lunch ideas on Pinterest did not disappoint! I found recipes for mini pizza buns, a variety of pasta salad recipes, rotisserie chicken ideas, a cute sandwich sushi roll tutorial and so many other great ideas. 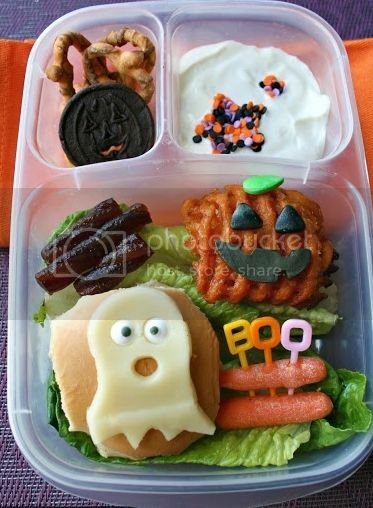 Check out this Pinterest Page for all the awesomeness including Halloween lunch ideas! 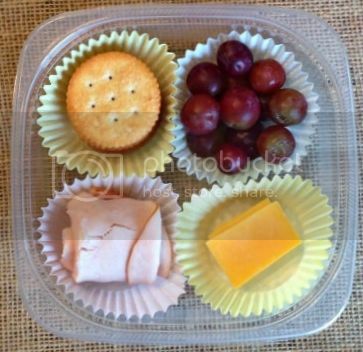 I also found some pretty cool ideas for packing these nutritious meals such as using cupcake liners to separate food, BPA free plastic containers with dividers and sandwich boxes with built in freezer packs (available at Target) to keep things cool. This cornucopia of info was making me feel pretty confident about what to pack…and then I saw FOOD ART! Are other moms really doing this? I am having a hard enough time making a sandwich without crust and now I have to sculpt it?! My daughter thought it was some type of unicorn. To my credit though, I had to alter the ingredients because I knew my daughter was not going to eat seaweed. So the eyes and the ear were made with Nutella. Now, let’s hear from you! 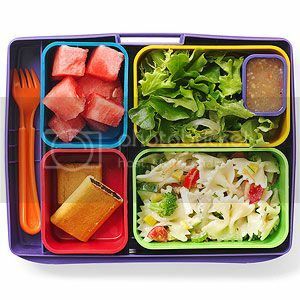 What are your favorite school lunch ideas? 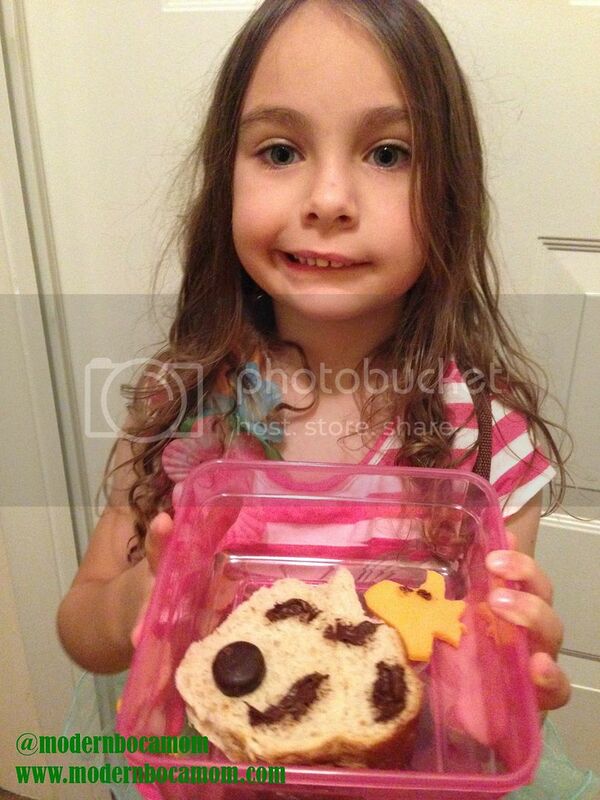 Have you ever tried food art or alternaVites KIDS? Sponsored: This post was sponsored by alternaVites KIDS. All opinions expressed in this review are my own and not influenced in any way by the company. Any product claim, statistic, quote or other representation about a product or service should be verified with the manufacturer or provider. Please refer to this site’s Disclosure for more information. I have been compensated or given a product free of charge, but that does not impact my views or opinions. Ilyse Schapiro, MS, RD, CDN, is a Registered Dietitian and Certified Dietitian/Nutritionist who holds a Master’s of Science in clinical nutrition and dietetics from New York University. Her professional experience includes clinical and private settings and counseling clients on a host of nutrition-related issues. Before launching her own practice, she was a dietitian at Joy Bauer Nutrition, and served as a clinical dietitian at the Hospital for Special Surgery. Prior to pursuing her graduate degree in nutrition, Ilyse served on the publishing team at Men’s Health magazine for several years. Working at the award-winning publication inspired her to pursue her life-long goal of working in health and wellness. Ilyse has also been a contributor to Joy Bauer’s Food Cures and a guest lecturer on diet and nutrition at PepsiCo, The Marilyn Modeling agency in NYC, The American Ballet Theater, Equinox Fitness Clubs and the Hospital for Special Surgery, as well as local schools and doctors’ offices. She is also an active member of the American Dietetic Association. www.ilyseschapironutrition.com. Ilyse currently has a private practice in New York and Greenwich, CT. Previous PostMOMpreneur Monday: A2 Events South FloridaNext PostSo, You’re Thinking of Tailgating…With Your Kids. Thanks so much for your comment! And for reading MBMom!